I’ll be the first to admit, that growing up I had zero interest in the electronics manufacturing industry. In my defense, my father became President of RBB in the early 2000s, which was also smack dab in the center of my high school years. Most likely the only types of electronics I was interested in back then were my curling iron and cell phone. But alas, many years have passed since those days and with a couple of business and marketing degrees under my belt... combined with an appreciation for unique businesses that do big things, here I am blogging for RBB. Though I’ve been to the RBB shop countless times, worked with different departments ranging from assembly to engineering and sales, I am well aware that there is an endless amount of information to learn about this incredible industry. I’ve compiled some of my favorite resources and sites that I am continuously learning from (and have even contributed to!). Talk about jam-packed with information! This site has it all. Looking for technical support or information? They’ve got it. Upcoming electronic manufacturing events and trade shows, such as an SMTA Expo or the International Conference on Soldering & Reliability? They have a calendar of numerous events. If you’re like me and enjoy reading industry articles or blogs, SMTnet has a blog directory of different electronic manufacturing companies’ blogs and a forum to ask questions, whether it’s about a certain piece of equipment, parts or components. It’s a great portal for those in the electronics industry to swap knowledge, experience and recommendations. A popular social media platform used primarily for professional and business networking, LinkedIn has over 259 million users connecting and networking with each other. 259 million users! Just think of all the fellow electronic manufacturing professionals there are out there! Even better, LinkedIn makes it easy to connect and find them. Industry and interest specific groups like Contract Manufacturing-Medical Devices, Printed Circuit Board Technologies and Solutions or IPC- Association Connecting Electronics Industries groups are out there just waiting for you to join in on the conversation. Joining LinkedIn groups is not only free, but a great way to connect with thousands of industry leaders, share blogs, ask questions, post jobs, or just talk some good old electronics talk. This is a great go-to for current events, blog posts and if you’re feeling really wild…webinars with topics ranging from components and equipment to communications and trends. With the mission to serve and connect the global electronics community, there really is something for everyone there, including self-proclaimed marketing nerds like myself. 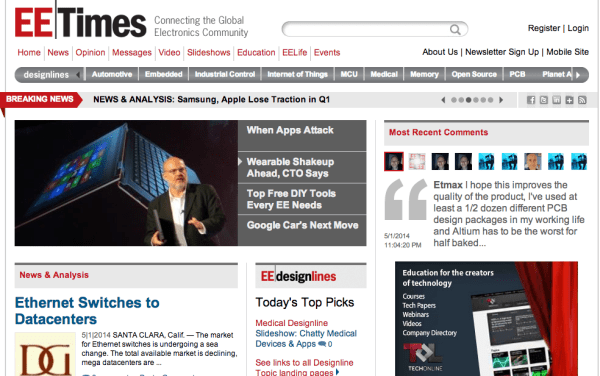 As an active Twitter user, EE Times is a great news source for industry related news, opinions and tweets. How dare I! I know, I know, this one is completely biased and totally not fair. In all honestly, I really wanted to put it in my top three, but at the risk of losing credibility, I left it out. (I also realize I may have already lost any and all credibility when I came clean about the curling iron and cell phone confession). But really, I do strongly believe our blog is one of great value. 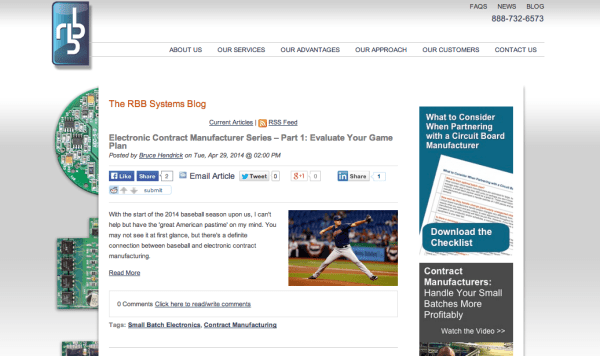 Over the past two years, we have worked very hard at establishing not just a steady blog following but we have served as a resource of electronics manufacturing topics. Have a question about proper testing techniques or electrostatic discharge? We’ve got a post for you. Or how an electronics manufacturing company can provide strong customer service? We have that, too. By utilizing the diverse RBB team (ranging from Engineering to Stock Room Managers to Assembly Technicians and CEO’s), we are able to really tell the RBB story, while also showing our industry knowledge and unique ability to produce recurring small batch circuit boards, assemblies, box builds and panels. I truly learn something new each week and enjoy the fact that the RBB blog is NOT a platform for selling boards or being “promote-y”… but instead it's a helpful resource and tool. Getting back to a humbler note, I’ll wrap this horn-tooting blurb up and let you check it out for yourself. There are always going to be pros and cons about certain websites or publications and truthfully, some resources may work for one type of manufacturer and not another…but the great part about the internet is the diversity and wealth of information out there. For someone such as myself, (with limited electronic manufacturing experience) finding helpful groups, websites and articles has been an essential tool in helping me better understand not only my own company but also our competitors and most importantly, our customers. 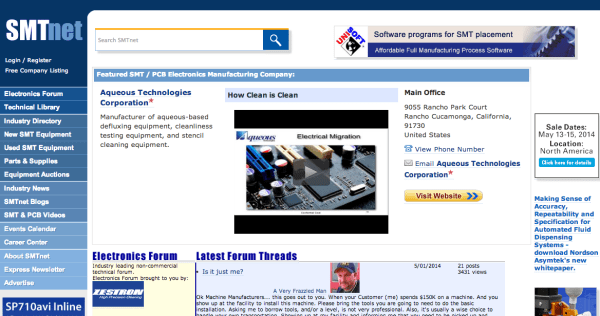 Do you have any favorite electronics manufacturing resources, groups, websites or links? Let me know!